Ramathon, a program used to raise money for Children’s Cancer Society, took place this past Friday night in the Bradley Center. 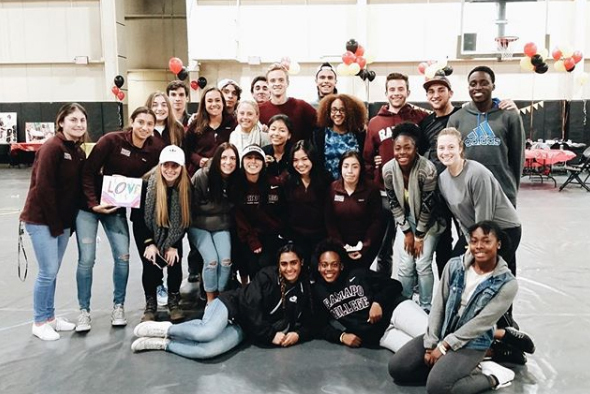 It is an event that plays an important role for Ramapo College, as participants dance “For The Kids” in a dance marathon, dancing and standing for children who are not able to do so. Many students came together to co-sponsor the event. The night consisted of different activities, such as games, dancing the night away and enjoying delicious food from local restaurants. It is important for schools to have sports teams, Greek life and clubs involved in charitable events, such as Ramathon. Not only does it keep students involved with on-campus activities, but it is also a great way to fundraise money for different philanthropies. With events such as these, it reminds students how important community service is and the impact giving back to the community has. One of the main attractions at the event became the photo booth, catching the attention of many students with each picture costing a dollar. Students were also able to purchase shirts and the proceeds from these purchases went towards the foundation. One of the games offered consisted of being able to send people to “jail” and in order for them to get out they would have to pay. This was another fun and creative way to raise money. Not only were there sports teams in attendance, but fraternities and sororities as well, which helped bring a sense of community to the event. 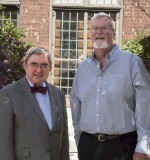 “I have attended this event since my freshman year. I always have a great time at school events, but especially this one. Ramathon raises money for a foundation that I hold close to my heart, and the way the event is set up actually makes it enjoyable for students to come too,” Olivia Brennan, junior, said. Every year Ramathon has a great turnout, and it is especially made for students to attend and have a great time, but also reminding them it is important to help out others but enjoying yourself while doing so.